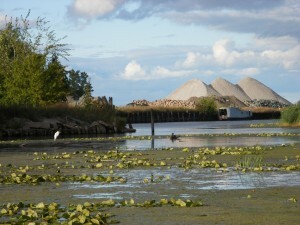 The most current information on the Lower Menominee River AOC can be found on the Wisconsin DNR and Michigan Department of Environmental Quality websites. 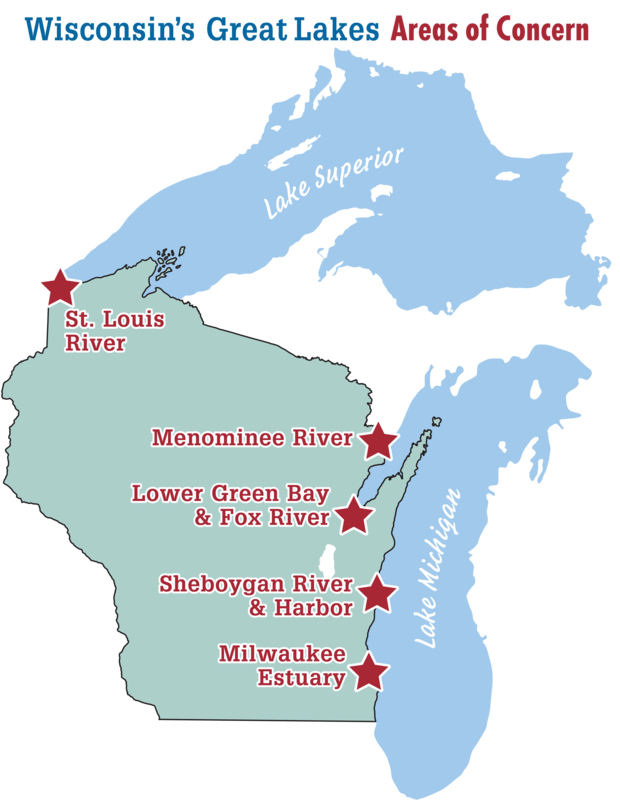 The Menominee River flows into Green Bay and forms the boundary between northeast Wisconsin and Michigan’s Upper Peninsula. The cities of Marinette, Wisconsin, (including Green Island in the bay of Green Bay) and Menominee, Michigan lie in the Area of Concern. improvements in wastewater collection and treatment systems. Many of the remaining problems affecting water quality are being addressed through state and federal programs via corrective action measures. The success of the Lower Menominee River Remedial Action Plan in guiding the restoration of impaired river uses depends on the successful implementation of these programs and measures. University of Wisconsin, U.S. Department of Agriculture and Wisconsin counties cooperating. An EEO/AA employer, University of Wisconsin Extension provides equal opportunities in employment and programming, including Title IX and American with Disabilities (ADA) requirements. La Universidad de Wisconsin-Extensión, un empleador con igualdad de oportunidades y acción afirmativa (EEO/AA), proporciona igualdad de oportunidades en empleo y programas, incluyendo los requisitos del Título IX (Title IX) y de la Ley para Americanos con Discapacidades (ADA). Requests for reasonable accommodations for disabilities or limitations should be made prior to the date of the program or activity for which it is needed. Please do so as early as possible prior to the program or activity so that proper arrangements can be made. Requests are kept confidential. Los pedidos de arreglos razonables para discapacidades o limitaciones, deben hacerse antes de la fecha del programa o actividad para la cual se necesiten. Haga el favor de pedirlos lo más pronto posible antes del programa o actividad, para que puedan hacerse los arreglos necesarios. Los pedidos se mantienen confidenciales.